MotoRadar gives the user a rain forecast including where the bad weather is coming from within 15 minutes, in 360 degrees around the user. 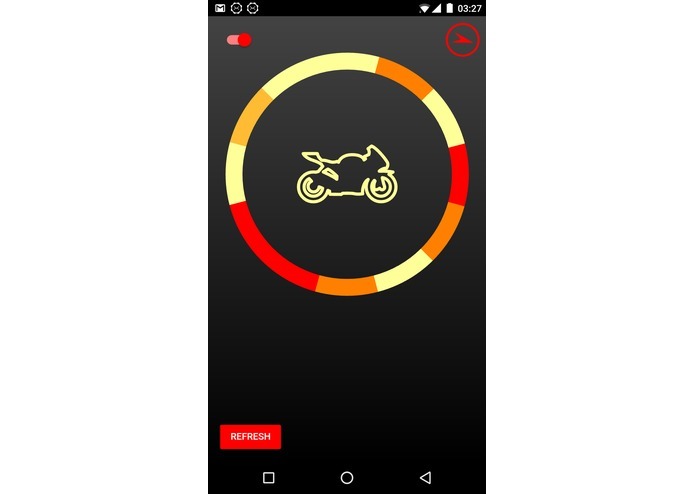 MotoRadar can be totally controlled by voice, which is ideal for a motorcycle driver. When there is bad weather coming you will be asked if you would like to have MotoRadar lead you to the nearest shelter by answering with a simple "yes!". Google maps is directly opened from within the app and by leading you to the nearest shelter, MotoRadar makes sure you will be safe on the road. MotoRadar could be deployed in several other use-cases, so it was difficult to make a good choice. Further, we used new tools which we had no prior knowledge of. Using several tools that we didn't know.